If you make peace of mind your main focus you will feel a great sense of relief in life. This includes being honest with yourself, living according to your inner guidance, being helpful and kind to others, avoiding toxins, maintaining healthy sleep habits, avoid negative people and media, surrendering yourself to Spirit. Do your research before jumping to conclusions. Take a break and go take a walk in nature, simplify and minimize the unnecessary things in your life, and most of all say NO when you need to. You don’t have to do everything for everyone, it’s OK to say no. Look for opportunities to be kind today! 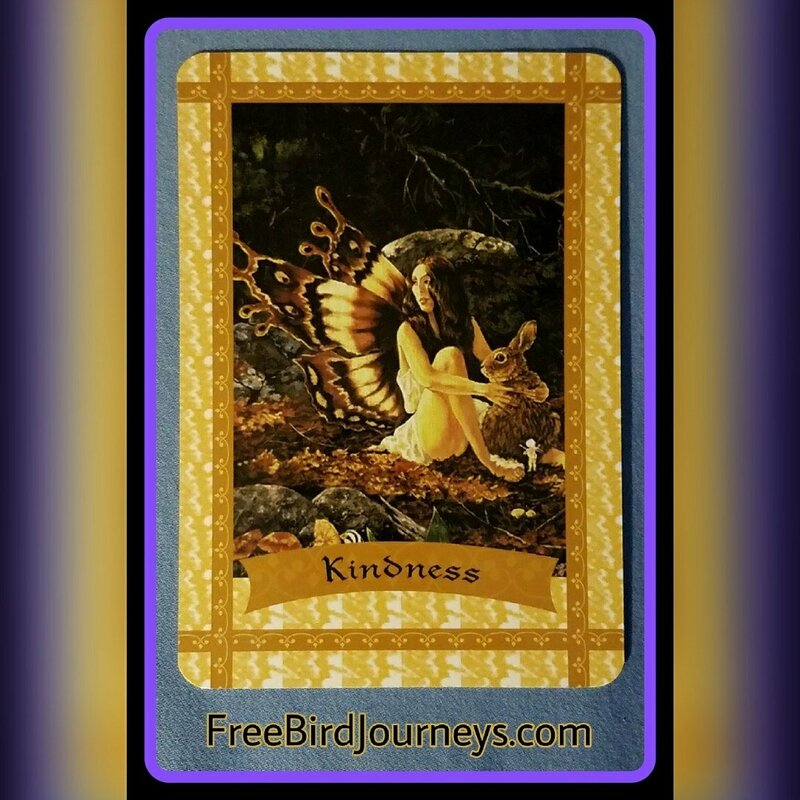 Practice kindness and all your thoughts and deeds today towards yourself other people animals and the environment watch the rewards that come to you! This beautiful positive energy will attract new loving friends into your life. Most importantly when you are kind towards yourself, such as thinking about yourself in a positive and kind manner you are rewarded with a deep sense of inner satisfaction and peace. 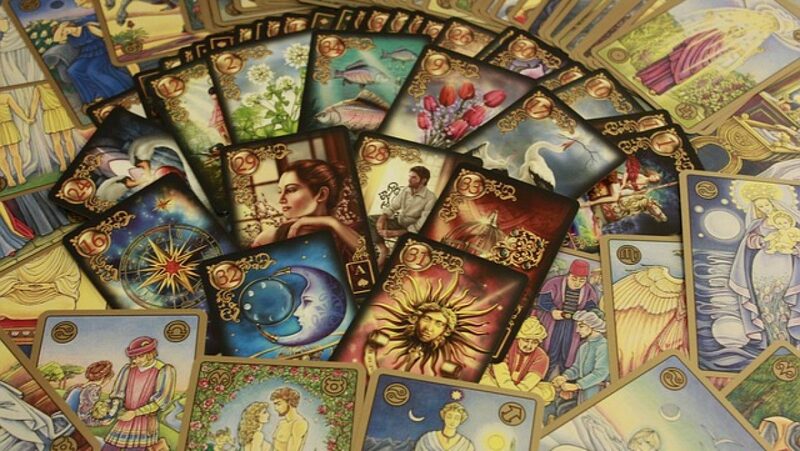 Email readings on sale now at $17USD, visit my website for more information. Link can be found above in my Bio. 🔝Thank you for working with me! 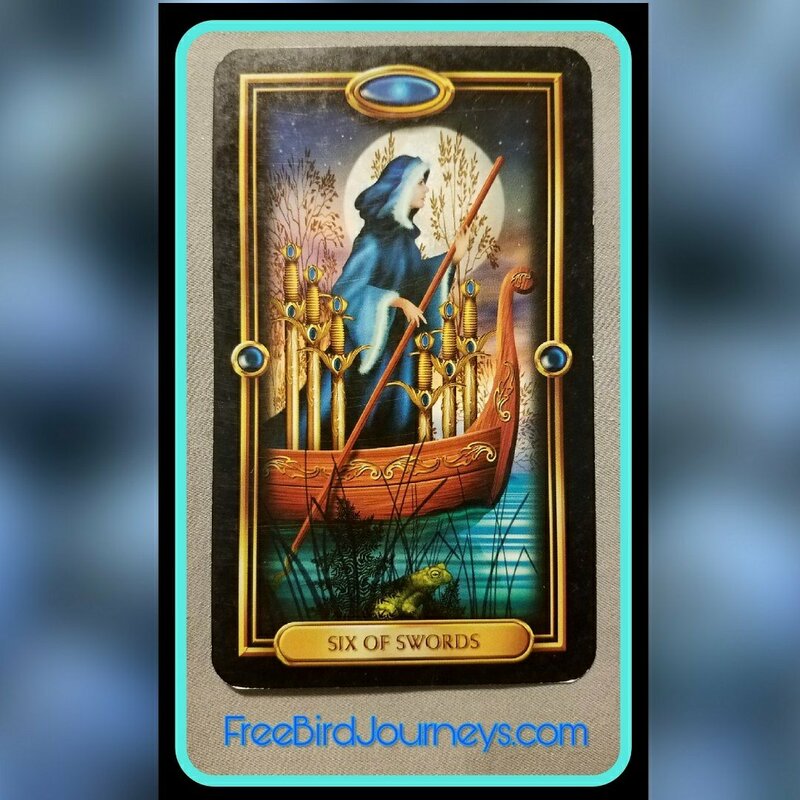 If you’ve been through a difficult time, this card is a beautiful sight to see! Just as the woman in the boat is taking a Journey, you too may be moving away from past troubles. Literally, moving out of stormy waters into calmer ones! Putting your troubles behind you, beginning a new phase in your life, matters will improve and harmony will once more be restored. You’ve stabilized yourself and are enjoying a new peace of mind today. Emotions are calming, fear is subsiding! New people you can trust come into your life. Now remember our experiences travel with us! You’ve learned a lesson and can take that with you in your ‘how to deal with life’ took-kit!